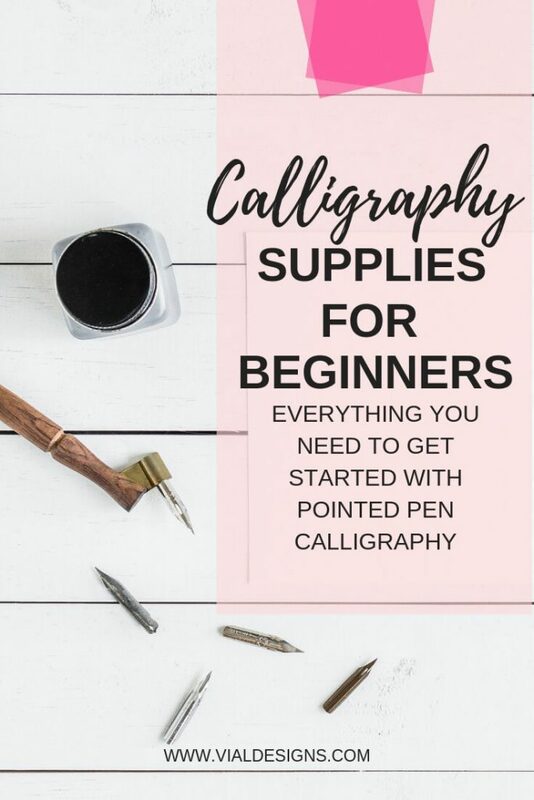 The best calligraphy supplies for beginners – Pointed Pen Edition: Everything you need to get started with pointed pen calligraphy. Modern Calligraphy is becoming more and more popular these days, which makes the number of tools and supplies available seem infinite. How do you know which calligraphy tool is the best to start? Well, I’m here to help with the craziness. 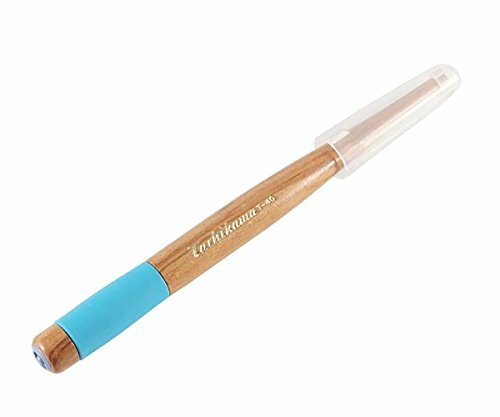 I’ve spent time (and money) searching and searching for the best calligraphy tools. I’m not going to lie; I was hoping to find THE ONE TOOL that would take my calligraphy to the next level. While you need to get the right tools, nothing beats practice. Practice is the most important thing you can do to improve your skill. You don’t need expensive tools to start learning calligraphy. All you need is a pen and paper, which you most likely already have. 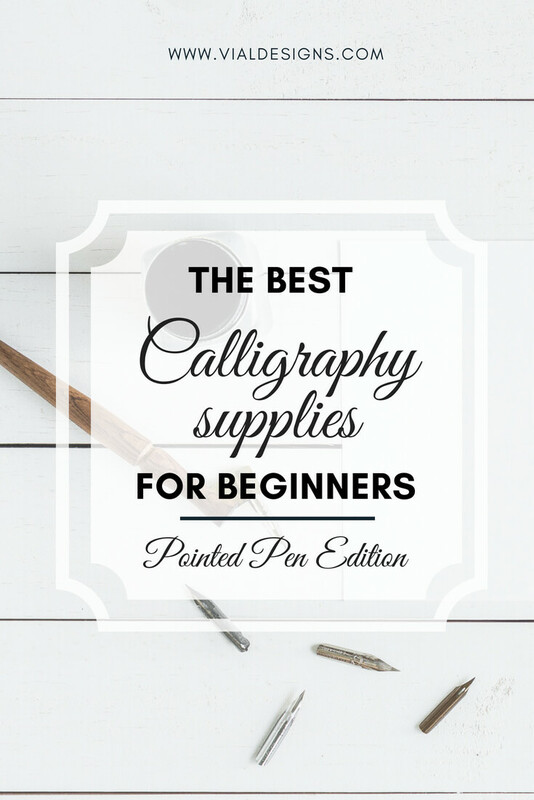 In this blog post, I show you how you can start learning calligraphy. This post may contain some affiliate links for your convenience (which means if you purchase after clicking a link I will earn a small commission, but it won’t cost you a penny more)! Read my full disclosure policy here. Paper matters for calligraphy, because all paper is NOT created equal. You need to use the right kind of paper for calligraphy. Using the wrong type of paper may be one of the main reasons why nibs get stuck, or the ink bleeds through. And which one is the best paper for calligraphy? I’m glad you asked. When it comes to paper, the smoother, the better, if you don’t believe there is such a thing as a super smooth paper, then try it for yourself. Get one sheet of the paper I recommend below and one sheet of regular printer paper. Run your hands across the paper and feel the difference. 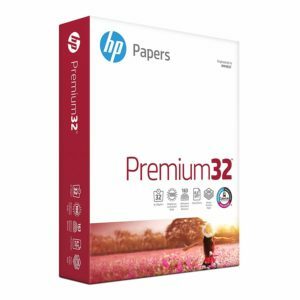 HP Printer Premium Paper – 32lb is one of my favorites! I use this paper daily. To be clear, this is NOT regular printer paper. It’s way smoother. Remember, it’s all about the smoothness (is that even a word?) of the paper. One of the reasons why I like this paper is because you can get the most out of your money. 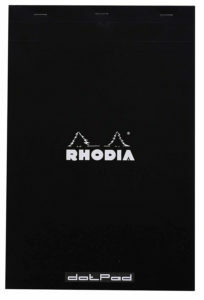 Rhodia pads are my second favorite. They come in 3 different types: dot, plain, and graph. So you can pick whichever you like best. I love the graph one. The dot pad is my second favorite of the three. It still has guidelines, but they are not as prominent. Another great thing about these pads is that they come in different sizes. Tracing paper is like the best of both worlds. 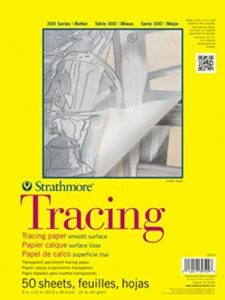 It gives you the smoothness of regular paper with the visibility you need when you need to trace your work. If you are anything like me, then writing on books is almost like a sin, even when they provide practice pages. Writing on my calligraphy or hand lettering books is a no-no for me. That’s when tracing paper comes to save you (or your book for that matter). You can use tracing paper to go over the calligraphy guides and practice in a more structured way. 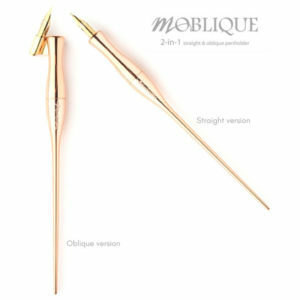 Pointed penholders come in either straight or oblique. Which one is best for you? I wish there were a perfect answer. But the truth is the best penholder for you is based on your personal preference and the style of calligraphy you are doing. I found the straight holder was more comfortable to control as a beginner. If you are learning a form that requires a specific angle, then the oblique holder might be better for you. I.e., Copperplate calligraphy, it needs a 55-degree slant. With that said, here are the penholders (both straight and oblique) I recommend for beginners. Moblique 2-in-1 penholder by Luis Creations. The Moblique is my new personal favorite! It has both, a straight and an oblique holder in one. I think Luis is a creative genius for coming up with this idea. So if you don’t know which one will be best for you, this pen has both in one so you can try them both and decide for yourself. It also as a compartment inside where you can store nibs, which makes it perfect for traveling. 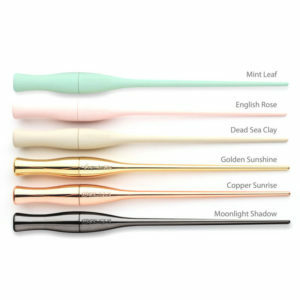 The best part, it comes in gorgeous colors (see the picture above). 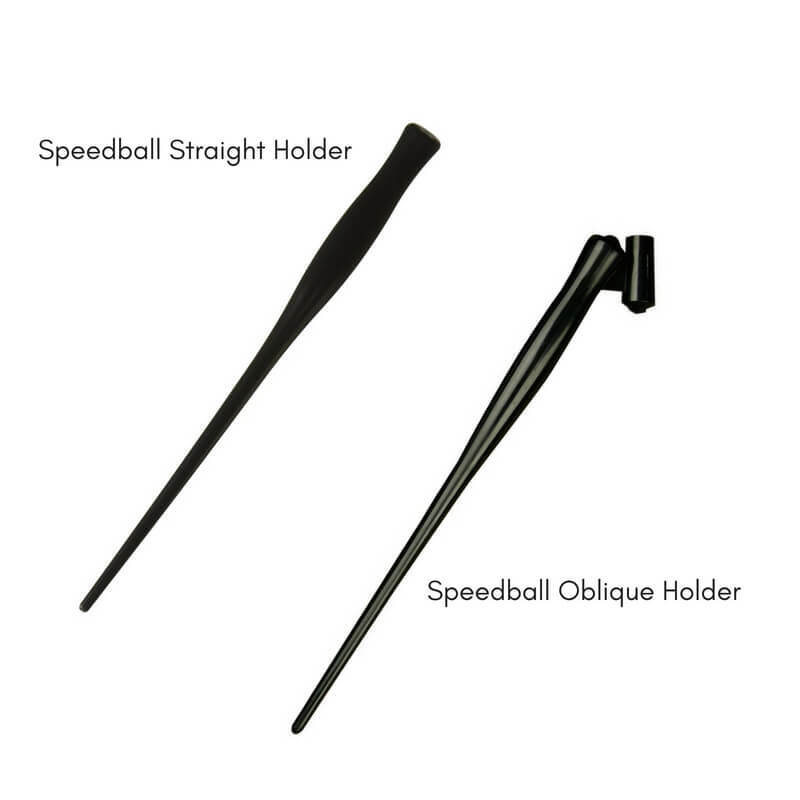 Speedball Straight & Oblique Holders. These are the cheapest of all the penholders. These are good to start because they are budget friendly. However, I have to be honest; they are not the best ones. I’ve had a couple of break after a few uses. So, if you can spare a little more money, then I’d recommend getting the Moblique or any of the ones below. Tachikawa Straight Holder is another great straight holder for beginners. This holder has a distinctive double rubber ring at the tip that can take regular and round nibs. 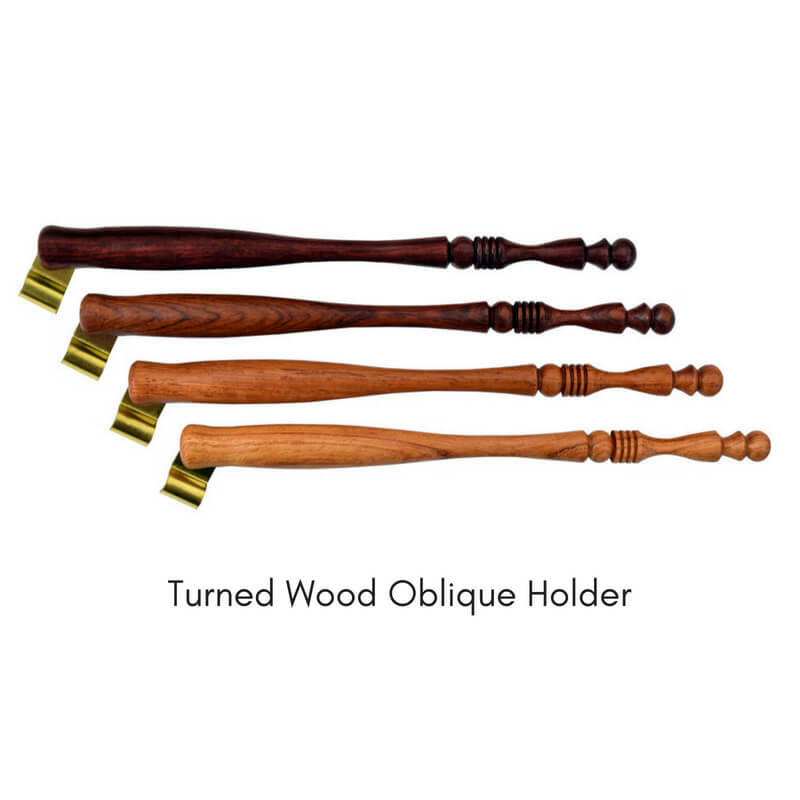 Turned Wood Oblique Holder is another oblique holder that I have and love. It has beautiful ornamental features. These holders are fitted for Nikko G (which is one of the best nibs for beginners). It will accommodate any similarly sized nibs such as the Zebra G. I got this one from Paper Ink & Arts. They have other great options for Oblique and Straight holders. It’s essential you choose the right nib for beginners and your pointed pen. For Modern Calligraphy, the nibs should be pointed. 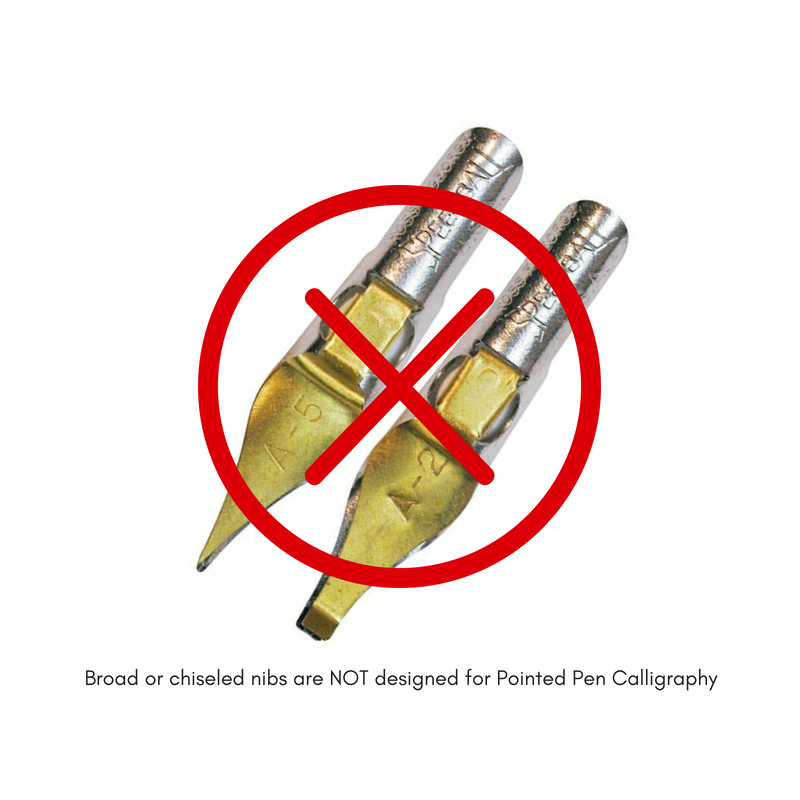 Broad edged or chiseled nibs are for a different calligraphy style. 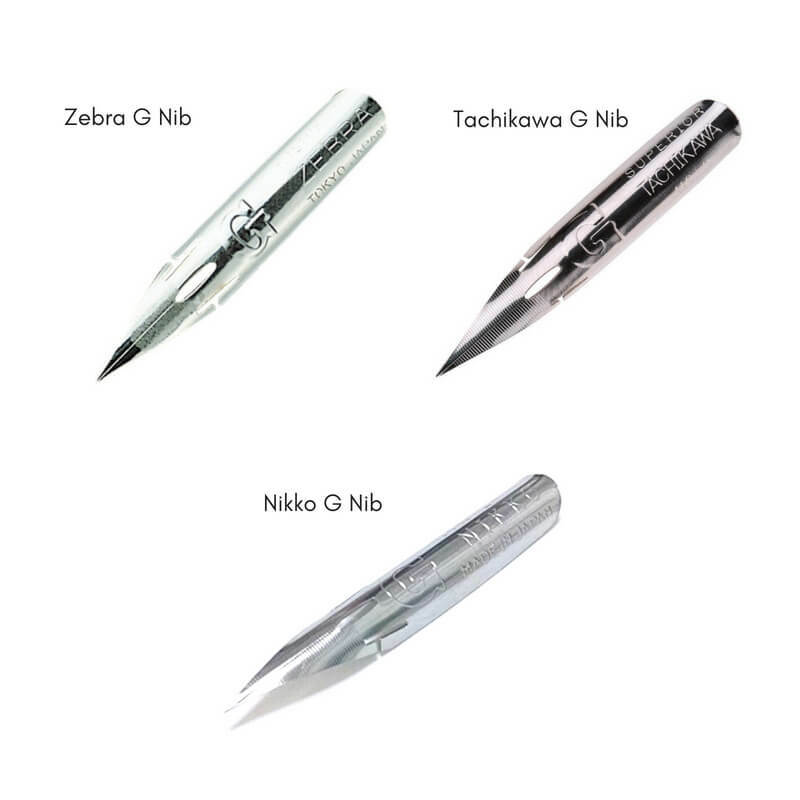 The best nibs for beginners are on the “G” family: the Nikko G, Zebra G, and Tachikawa G. These nibs are sturdy and flexible enough, but to too flexible. They will help you get used to applying pressure on the downstrokes. Since it is essential to get used to the pressure first, I don’t recommend flexible nibs for beginners, such as the Hunt 101, Hunt 22b, are very flexible. 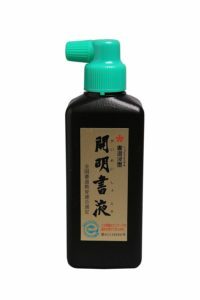 My favorite ink is Sumi ink. The one is the picture is the Moon Palace Sumi Ink. India Ink is another excellent choice for beginners. Most times the ink is not pointed pen friendly. If that’s the case, you can transfer a small amount of ink into a small jar or a Dinky Dip container. A piece of cotton cloth: to wipe your nib off as you write. I use an old dinner napkin. A cup or mug of clean tap water: to clean your nib as you are writing and definitely after you finish writing. Windex or a lighter: this is to clean and prepare your nib before the first use. 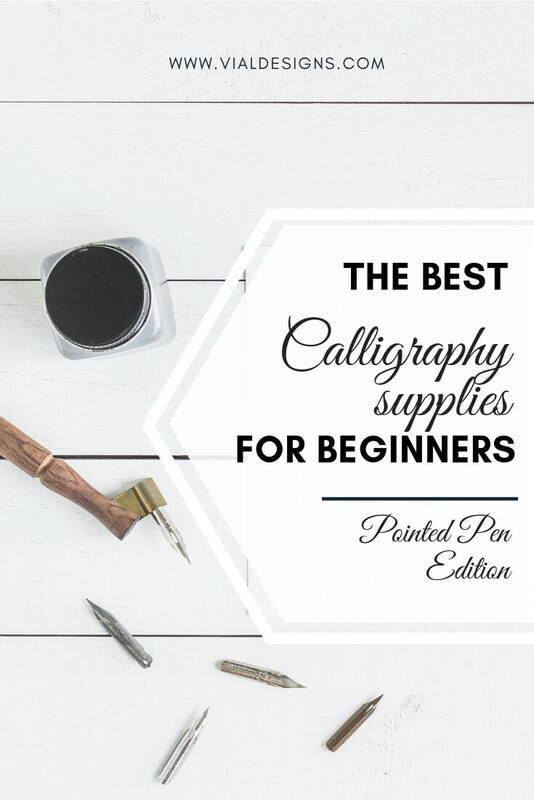 In a nutshell, these are the best calligraphy supplies I recommend for beginners. I’m working on writing other blog posts with demonstrations and tutorials to help you keep learning this beautiful art of calligraphy. 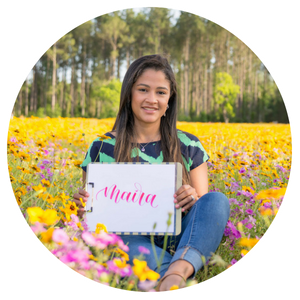 I hope you find this post helpful and it encourages you to start learning calligraphy with the right tools. « “DONE IS BETTER THAN PERFECT” IS THIS A TRUE STATEMENT?